Opsis cross-stack monitoring systems are successfully used for emissions monitoring in mineral wool plants. Process control and emissions monitoring in a mineral wool plant is a challenge due to the presence of phenol and formaldehyde. To use an extractive system in this environment will demand a lot of maintenance. The OPSIS DOAS system is different and provides plants with an accurate analyser that will operate with a minimum of maintenance. The OPSIS DOAS system is based on a non-contact method using an optical measurement path that can operate across the duct. The process control of a sulphuric acid plant needs good and reliable detection of gas phase sulphur dioxide (SO2). To measure SO2 is a challenge due to the corrosive environment and high concentration of SO2. Several places in the process needs to be monitored and to transport the sample gas is difficult. A large dynamic range is needed as the SO2 concentration can vary between 15% volume and a few mg/m3. Most systems installed need a lot of maintenance, sometimes as often as every day. Procal analysers are used throughout the steel process from initial sintering of ore, coke production, blast furnace emissions through to roll mill reheat furnace emissions. The aluminium industry is the major source of perflurocarbon (PFC) emissions to the atmosphere, which are a major contributor to global warming. PFCs have greenhouse gas effects up to 10000 times that of CO2. Emissions have been reduced over the last 20 years, but further reductions are harder to achieve as all the mechanisms for PFC production are not known. In order to better understand the production of PFC on an industrial level, laboratory studies have been carried out using a small scale cell. A key issue in the measurement of the products of combustion in Cement and Lime industries is the high levels of particulates. The Procal 2000 in situ analyser`s heated probe option is especially suited to this industry as it efficiently deals with variations in process temperature, keeping the probe above the sample dew point and safe from corrosive condensate. The inherent flexibility of Procal analysers enables the instruments to be configured to meet Customer’s specific requirements. 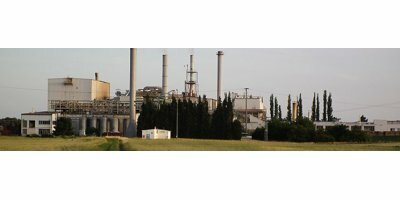 Their capability to monitor gas concentrations at elevated pressures and temperatures make Procal products ideal for process applications in the Chemical Industry. From monitoring impurities in vents, stacks, air or water to point source or area monitoring, automatic and on-line measurement is an important tool. This type of measurement will detect, quantify and assist in reducing emissions. Siemens analytical products are utilized for many of these measurements. Manufacturing of powdered and liquid flavorings and fragrances involves production phases where flavoring chemicals may be released into the ambient air breathed by workers. Exposure control by gas analyzers in the production rooms and laboratories is necessary to ensure that the Time-Weighted Average (TWA) concentrations do not exceed the maximum Permissible Emission Limit (PEL) values.